We all know that Spaceants are cool but did you know there was really a Nasa Study using Space aged gel checking how other animals are effected by Zero Gravity? This ant farm is our discount unit. 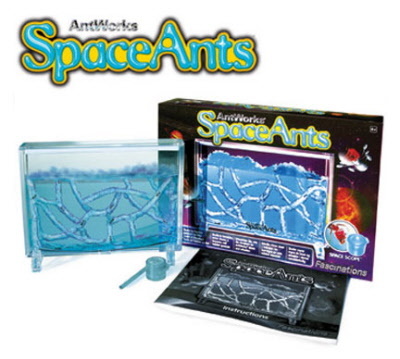 A tad smaller than the other Fascinations Antworks we have but a great deal for the insect lover. Space ants comes with a starter stick and a new base. Also included is the magnifying glass.